Aside from being fun to say, verisimilitude (pronounced ‘VAIR-ih-sih-MILL-ih-tude’) simply means ‘the quality of resembling reality.’ A work of art, or any part of a work of art, has verisimilitude if it seems realistic. The word verisimilitude is derived from the Latin words verum and similis meaning “truth” and “similar.” A verisimilitudinous story has details, subjects, and characters that seem similar or true to real life. A typically kind character says “I’m so very sorry! It was an accident!” after accidentally tripping someone on the bus. In this example, the story has verisimilitude because a character who is known for being kind would, predictably, apologize after accidentally tripping someone. As Aaron stepped out of the house into the afternoon light, his hair seemed to change color; the orange light of the setting sun reflected off hairs red, brown, blonde, and even a few white. One common kind of verisimilitude is accurate detailed description; you have to observe things well to describe them in realistic detail. The sky is dark and cloudy at the beginning of a story. By the end of the day in the story, it has begun to rain. This is a simple yet important example of verisimilitude: if you are writing a story and mention storm clouds, a storm must follow. Even the smallest details are of the utmost importance when it comes to creating a believably realistic story. Verisimilitude is important because stories are meant to take us into their world– to feel real as we read them. If a story has unrealistic, confusing, or illogical details, the flow of the story is interrupted and it is not believable. Just as movies cannot show actors changing into their costumes or being called by their real names off screen, stories cannot lose their verisimilitude for a moment. An author with strong verisimilitude can write in a way that is emotionally compelling and seems true. A great story can make you cry, laugh, smile, or frown due to its verisimilitude. In this nonfiction novel, Krakauer writes of being part of a failed expedition up Mount Everest. Geographical details, specific descriptions of storm conditions, and quotes from those on the expedition provide his true story with verisimilitude. This brief scene in the magical novel novel shows characters with realistic behavior: Harry’s yelling is emphasized with capital letters, to show its intensity and make it seem compelling. The lunascope, a magical object, is mentioned to root us in the magical world. Dumbledore responds to Harry Potter in a realistic fashion for a man of his age and character. Together these things make the scene feel real. Sheldon Cooper’s character is absurd but believable due to many details. 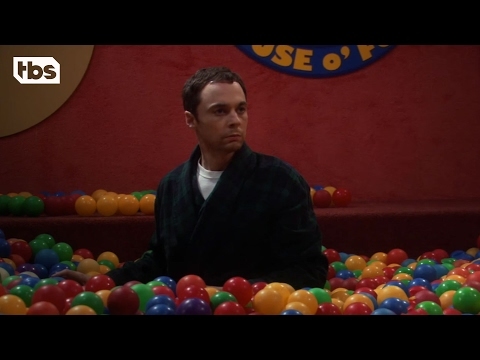 Sheldon is a genius physicist who is socially awkward: he makes jokes about physics which are only funny to him. But the mention of ball pit, atoms and cops are examples that create verisimilitude by involving the things that are parts of real people’s lives. Jim Carrey earned a Golden Globe for his performance as the late American comedian Andy Kaufman. The film is known for the verisimilitude shown by Carrey, as he accurately imitated the real-life entertainer, and by the film, as it stayed true to most details of his real life. Carrey must have studied Kaufman thoroughly to achieve the performance. Two genres in which verisimilitude is particularly important are biography and autobiography. Biographies are books about real people’s lives, such as “Alexander the Great: The Macedonian Who Conquered the World” by Sean Patrick. On the other hand, autobiographies are biographies written by the actual person, such as “Look Me in the Eye: My Life with Asperger’s” by John Elder Robison. Verisimilitude is important in autobiographies and biographies because stories that claim to represent real people must do so realistically and honestly. Works of creative nonfiction such as biography and autobiography must be carefully fact-checked before they can be published to prevent lies or mistakes from being presented as the truth. Verisimilitude is equally important in the genre of historical fiction. Historical fiction is fiction that tells a story happening during a certain historical time period. Verisimilitude is important for historical fiction because historical fiction, by definition, attempts to represent its historical setting and characters accurately. Historicity, or historical authenticity, is key for a historical fiction piece to convince readers that they are truly stepping into another time. Samuel Taylor Coleridge coined the term “suspension of disbelief,” meaning that a narrative should have enough verisimilitude so that readers can “suspend their disbelief” or choose to forget that what they’re reading isn’t real. Otherwise, a narrative is not doing its job, so it’s crucial to write with enough verisimilitude for suspension of disbelief. You will often find empty truisms among “inspirational” quotes. This one definitely goes without saying. It is also a commonly known fact that rain allows flowers to grow. You won’t know until you try. Another inspirational quote. These often say things that are strangely encouraging considering that they don’t tell us anything we didn’t already know! Whereas suspension of disbelief and verisimilitudes are valuable kinds of truth, truisms are less so. Probably because verisimilitude is about creating something with a realistic quality, while truisms just tell you something very general. Verisimilitude is just how real a narrative seems, how true-to-life it is. Movies, TV shows, songs, stories, and poems with verisimilitude draw in the audience and convince us to pretend they are real.